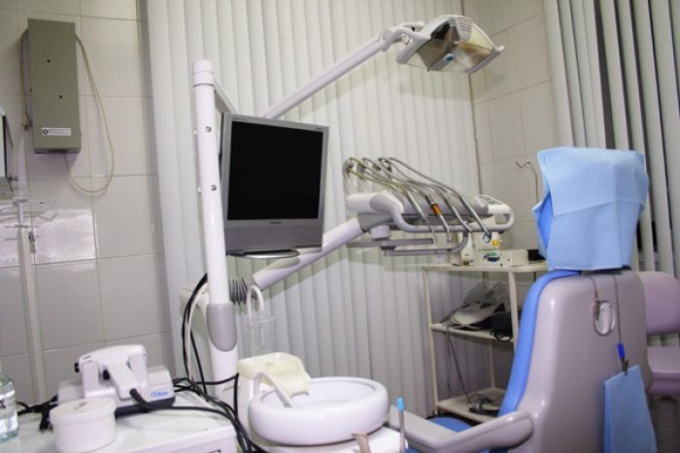 Sometimes we are faced with poor provision of dental care in private clinics. Therefore, it is important to know how to protect their rights, what to do and where to go in these cases. Poor quality can be divided into two categories: poorly done work and suffered injury as a result of treatment. To protect your rights, we need to study the laws "On protection of consumer rights" and "healthcare". For example, had the seal broke off the crown. Warranty clinic has to redo the work or refund her the full amount. It is desirable to keep the contract and the check, even though the clinic should be information about your visit. Redo the work under warranty, usually without problems. But for the return of funds is necessary to write the application addressed to the Director-General (chief physician). But few people know that by law you have the right to demand compensation for the cost of rectifying the work at another clinic, the more expensive. For example, incorrectly set the crown led to cracks at the root of the tooth and the need for its removal and installation of the implant. In this case, it is important to be able to evidence that installing crown led to the loss of the tooth. How to act in this case. - In any case, do not make trouble and not to swear — that you will not achieve anything, but rather give unscrupulous clinic to "prepare" for your claims. - If you are determined, go for paid consultation from a lawyer (usually free uninformative), it is advisable to find a lawyer or company that spetsializiruyutsya it on medical matters. During the consultation the lawyer will tell you in what sequence to proceed in your particular situation. Sometimes it is possible to settle at the pretrial stage. - To request a medical card, you need to write an application in two copies, one of them a representative of the clinic has to sign that he received it. Provide copies of medical records and medical history at the written request of the obligation of any medical institution. - Before the treatment effects in another clinic, ask the doctor to make a description of the oral cavity, it will need to Lodge a complaint. - You can claim a refund of the cost of treatment at the clinic, the cost of subsequent treatment, pecuniary damage (usually from 20 to 50 000 RUB.) all related expenses. The court also collected a fine equal to the value provided poor service. - Realistically assess your chances if the case goes to trial. The most difficult is to prove the connection between inadequate treatment and the problems, it does medical expertise. Initially, all costs are paid by you, in case of a positive decision of the court, they shall be recovered from the clinic. - Not engage in polemics with representatives of the clinic. All claims and conclusions they should appeal in writing only. - Paying expensive lawyers to rate the risks. If it's a small private clinic, it is quite possible that it would close a legal person, and sue is just not with whom. Also do not forget that each clinic is a lawyer who will protect her interests.